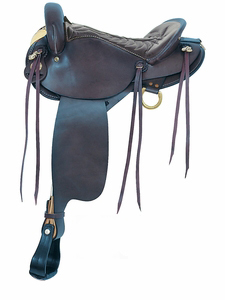 Endurance saddles are designed to be lightweight and comfortable for both horse and rider during long hours of riding. 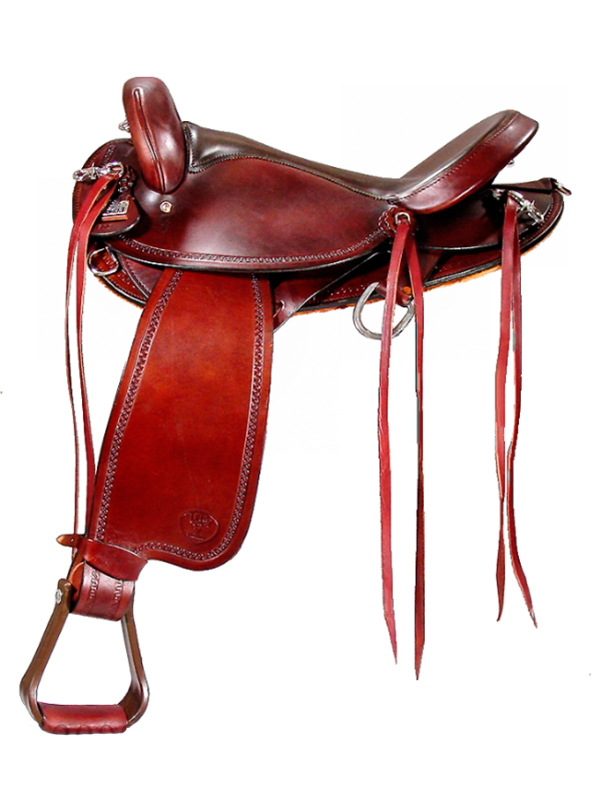 Their design varies; an endurance saddle may look somewhat similar to an English saddle, a Western saddle (with or without a saddle horn), or an Australian saddle. They often have rings and/or tie strings to make it easy for a rider to carry extra items. 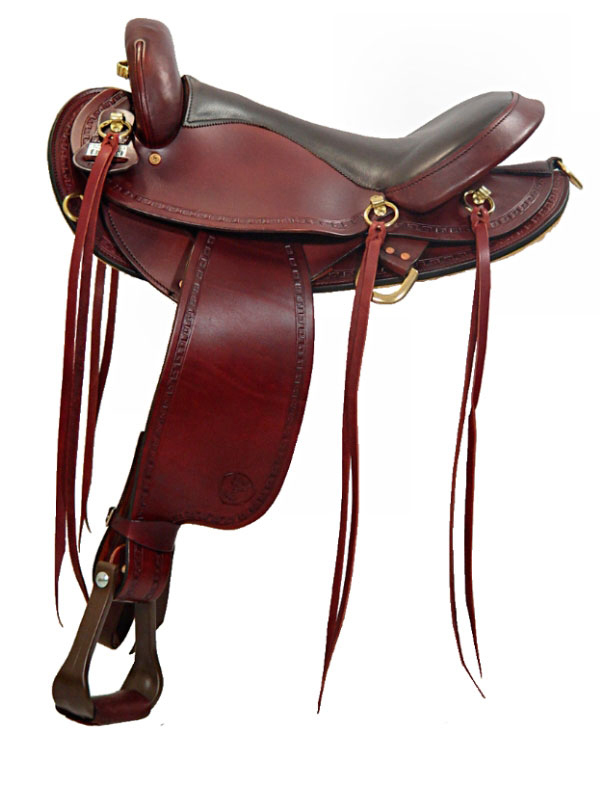 Some endurance saddles for sale use synthetic materials, such as Cordura, to not only reduce weight but to also make the saddle easy to care for and soften the price tag. 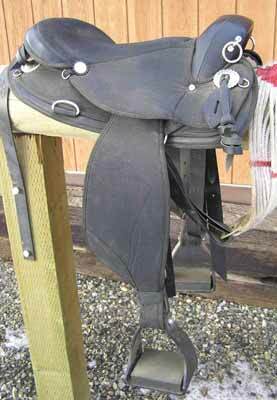 Below are endurance saddles for sale from eBay, HorseSaddleShop, and State Line Tack. Endurance riding is a competition where a horse and rider, competing as a team, cover a pre-determined route in an attempt to cross the finish line ahead of their competitors. It is a long distance competition with rides varying in length, but common lengths include 50 – 100 miles (although shorter rides of approximately 25 miles are popular for beginners). An endurance ride might take one or more days to complete. 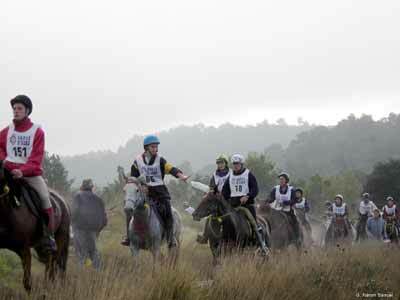 Below: An endurance ride at Uzes, France. Endurance riding is popular worldwide. Along the route of the endurance ride are several veterinary checkpoints where the horse must pass a veterinary exam stating it is fit to continue, as well as places a horse is required to stop in order to eat, drink, and rest. Endurance rides are typically held in natural terrain with hills, water crossings, ditches, and other natural obstacles along the trail. A rider competing in an endurance ride chooses the pace they and their horse will travel, speeding up or slowing down according to their ability or according to the challenges of the trail. A rider is also allowed to dismount and travel alongside their horse if they choose. While an endurance ride is a competitive event where the horse and rider team that crosses the finish line first is the winner, many riders simply enjoy the sport as a way to enjoy beautiful and sometimes challenging trails, for the chance to perform at a personal best for themselves or their horse, and as a way to enjoy the companionship of other riders and their horses. 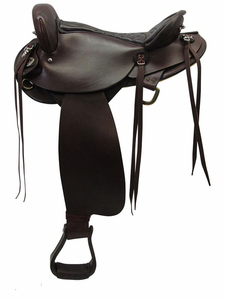 Endurance riding saddles vary according to the rider’s personal preference. They might be of English, Western, or Australian design, or with modifications made to those basic types. 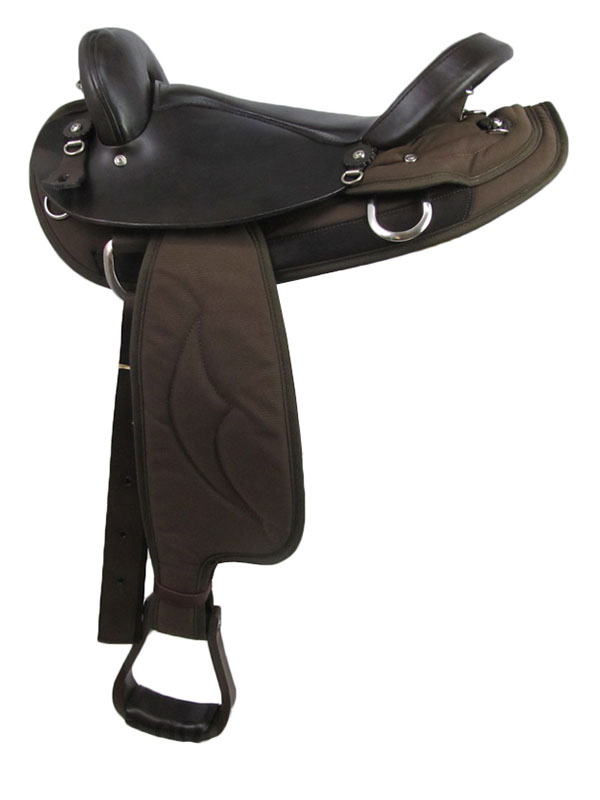 They may or may not have a saddle horn according to rider preference. 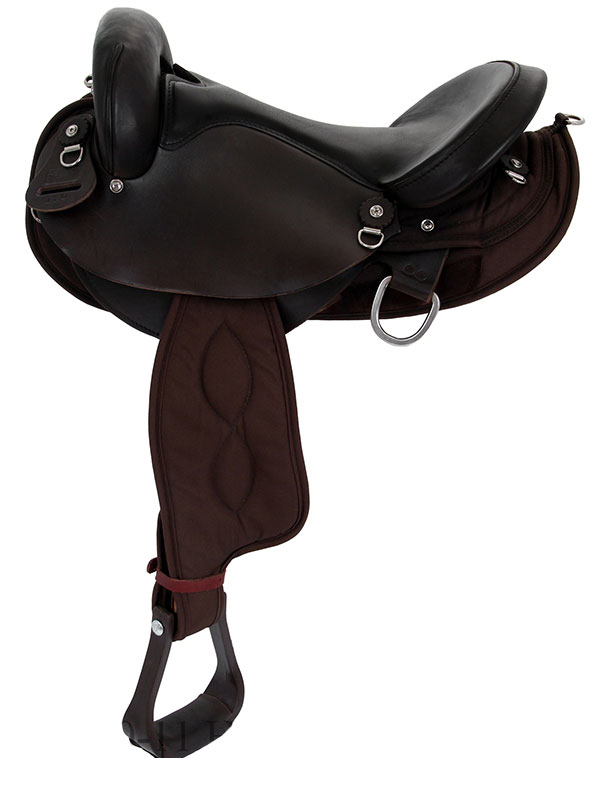 Endurance saddles, regardless of the specifics of their design, are typically lightweight, and therefore may contain synthetic materials (such as Cordura) that are lighter than leather and are often easier to clean. 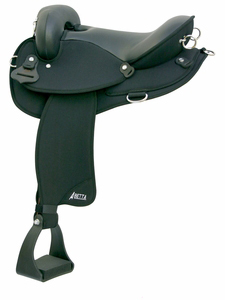 Endurance saddles frequently have stirrups with wide tread for comfort and balance, and often have extra tie strings or rings so the rider can more easily carry equipment that might be needed along the trail (jackets, snacks, water, etc. ).